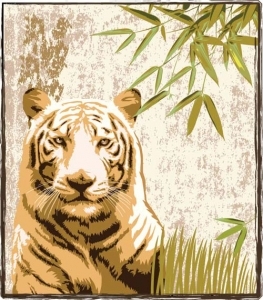 That’s the case for vintage too and we decided to offer you this vintage tiger poster, full of vector element. It could make a gread effect as a poster mounted above the fireplace, especially if you don’t like hunting. Well, you know how they say: fashion always comes back. 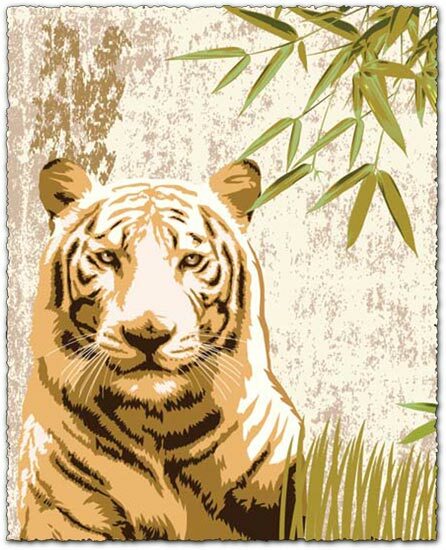 That’s the case for vintage too and we decided to offer you this vintage tiger poster, full of vector element. It could make a gread effect as a poster mounted above the fireplace, especially if you don’t like hunting. This tiger poster template is all about quality, but if you want more, you can do it yourself because our product is fully editable with Adobe Illustrator, Corel Draw or any other vector related program. License: You can use Vintage tiger poster with vector elements for personal or educational purposes.